The bio of Jesse Sketchley Raddall | Launceston Then! 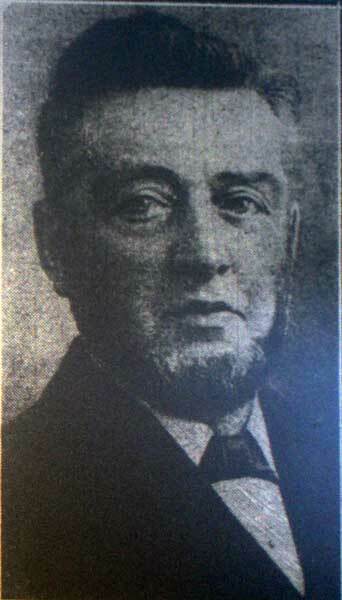 Jesse was born in 1851 to Philip and Sarah (nee Sketchley) Raddall at Northgate Street, Launceston. His father ran a hat making business at a premises that was later demolished to make way for the Wesleyan Sunday School. Philip was also a Wesleyan local preacher and when the hat trade declined he became a relieving officer in February 1857, living in Old Hill (St. Thomas Hill) where he died in 1884. A Relieving Officer worked for the Guardians of the Poor. Among the the main duties of a Relieving Officer were: To receive applications for relief, and forthwith to examine into the circumstances of every case by visiting the house of the applicant, and making all necessary inquiries into the state of health, the ability to work, the condition and family, and the means of such applicant, and to report the results of his inquiries to the Guardians at their next meeting, and also to visit from time to time, all paupers receiving relief. In any case of sickness or accident requiring relief by medical attendance, to procure such attendance from the District Medical Officer. Jesse was educated at the Old British School in Western Road (now Stags Estate Agents), and the Old Grammar School on St. Thomas Road (Rehobith). About the time he left school the railway had arrived in the town and he longed to an engine driver. His father, however, thought otherwise and persuaded him to seek another trade and so Jesse served his apprenticeship as a saddle and harness maker first at Launceston then at Bristol, where he spent several years learning his trade. On returning to Launceston he continued with his saddle making. It is here that he met and married Susanna Mary Garland of Coads Green at the Wesleyan Chapel in 1877. Soon after they set up home at 2, Buckhive Cottages, Lifton where Jesse set up in business on his own. 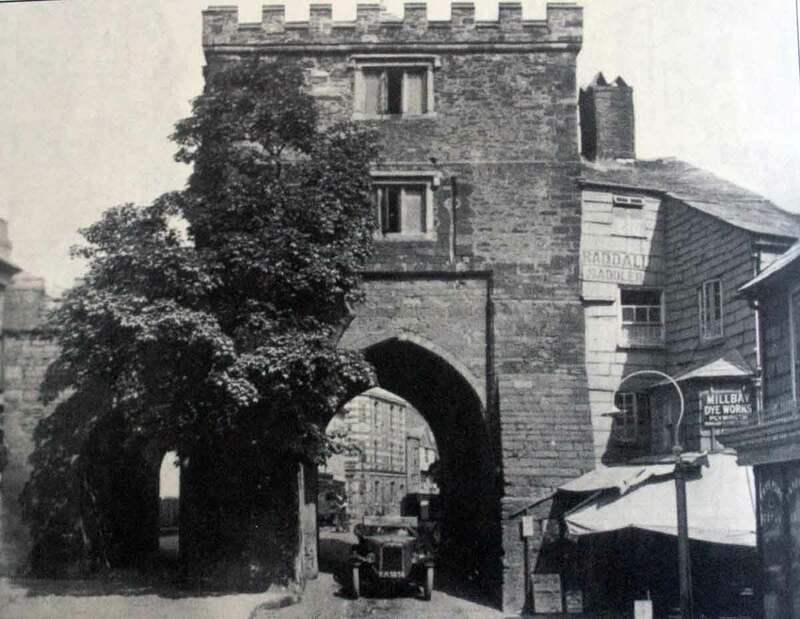 The reason he chose Lifton was due to the lime kilns operated there at the time and with the amount of horses and wagons in use, there was a call for his line of business. Together he and Susana had nine children, Marian, Philip, Sarah, Edward, Stanley, Mary, Bessie, Thomas, and Eliza. Whilst at Lifton, Jesse joined the United Methodist chapel at Tinhay soon becoming a close friend of Richard Soper a local preacher. Together they conducted missions and temperance meetings in the district. Jesse himself became a local preacher and was placed on the Wesleyan Methodist plan in 1874. 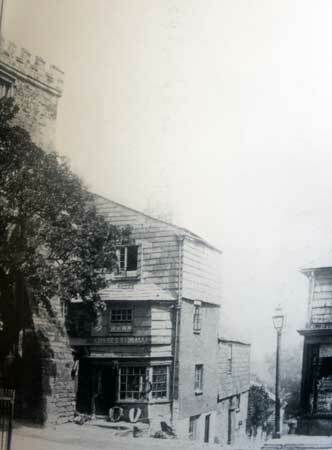 In 1884 the lime kilns were closed and the family moved back to Launceston taking up residence at Southgate Place with a shop attached to the Southgate (below). He became the local agent for the Millbay Cleaning and Dye Co..
Susanna died in 1893 leaving Jesse to bring up his young family. His eldest son Philip joined him in the business and Marian became the housekeeper. Stanley emigrated to South Africa and went to work in the printing industry. Edward and Thomas also went into business, whilst all the daughters bar Marian, went on to become Nurses. During the First World War all his children served, with Stanley coming over in the South African contingent. Philip was present with the forces outside Jerusalem when General Allenby’s men entered the city in 1916. After the war Philip returned to the business. Jesse died in October, 1930 and the funeral was held at the Wesleyan Church, next to the site where he was born, with the Revs. A. F. Wolton and A. W. Price officiating. The bearers were all local preacher: Messrs. W. H. Curtice, T. Curtice, W. T. Phillips, J. V. Jenkin, T. N. Wenn and W. Oliver.